A Clan story by Paul McLean, Connel, Scotland. Clan History: The Maclean clan is one of the oldest of all highland clans famed throughout history for great fighting skills of its warriors. For centuries they lived by the sword. According to historical sources, the founder of the Maclean clan was Gilleain na Tuaighe – Gilleain of the battle-axe, who lived in the 13th century. Gilleain translates from the Gaelic as the servant of St John, although there is little in the records to suggest that Gilleain of the Battle-axe was a devout man of peace. Much has been made in Scottish history about the many battles fought against the English. What isn’t mentioned quite so much is that it wasn’t unusual for Scottish clans to work for the English when it suited them to do so! When Elizabeth I of England went looking for mercenaries to fight for her in Ireland, the Macleans were the obvious candidates for the job. With the promise of significant financial rewards, clan chief Lachlan Mor offered to provide Maclean men for the English campaign. His clan warriors fought in Ireland as mercenaries or Galloglas – but, not against fellow Scots or family. The prospect of even more money came to Mull in the form of a Spanish Galleon, a survivor of the doomed Armada that Philip of Spain had launched against Queen Elisabeth. When it arrived in Tobermory harbour, Lachlan Mor agreed to help in return for Spanish assistance in his own fight against rival clan neighbours. But hopes of Spanish treasure onboard the galleon were thwarted when an English spy blew it up. The search for missing Spanish gold in Tobermory bay has been a pursuit that has occupied acquisitive souls ever since. The current Chief is Sir Lachlan Hector Charles Maclean of Duart and Morvern Bt, CVO, Deputy Lieutenant of Argyll and Bute, 28th Clan Chief and 12th Baronet of Morvern. It just so happens your story teller is well known to Sir Lachlan and vice versa. Over the past 16 years or so the two have been meeting at the Clan Maclean Worldwide gatherings, every five years – the next being June 2017. But let me first go back to the first Clan gathering I was involved in; June (it is always June) 2002. Earning my living as a tour operator in Scotland, and having the same name, I decided to offer clanspeople from around the world with a clan gathering tour. 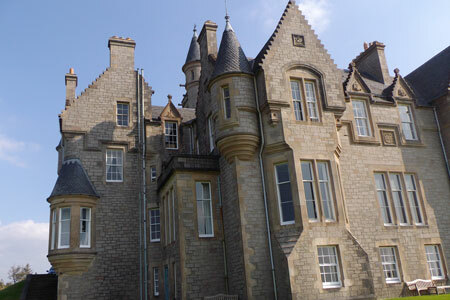 I set about designing this tour, staying 3 days on Mull, Edinburgh and Inverness as a coach tour. To my surprise the coach tour sold out and I had over 40 Maclean’s (mostly from USA it has to be said) booked in with me. My only problem now was hotel room lists and gathering monies. Almost everyone had the same surname – a wee bit confusing for hotels. I called for help through my best friend and most sensible person, Liz Gillespie – now my business partner (she thinks she’s the boss!). So what happens at the gatherings? 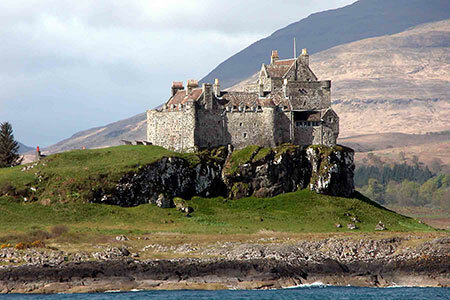 We surround our clan castle, Duart on the Isle of Mull. We meet the Chief and all his sub ciefs, we enjoy entertainment, food and drink, dancing, battle re enactments, castle tours and day trips to the Clan lands on the island. It is where the ancient culture of hospitality meets modern day culture. Needing a ferry to reach the gathering just adds to the uniqueness of the event. 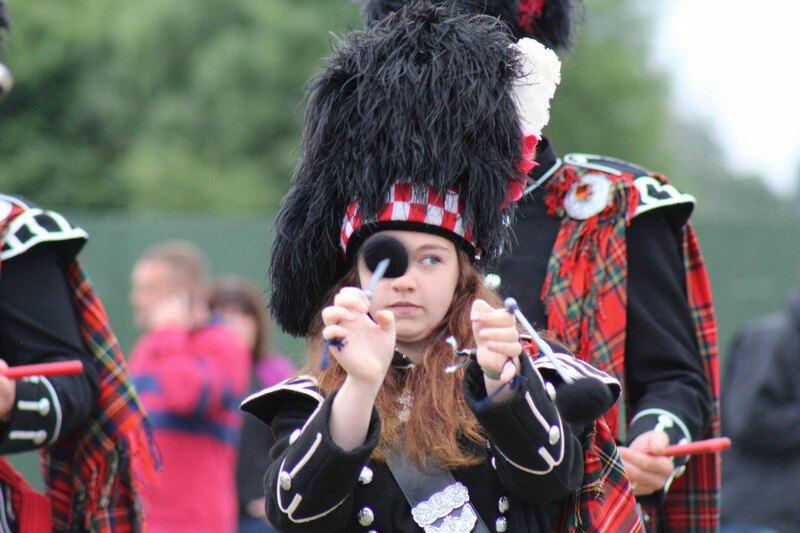 In 2002 it rained a bit, we had the march of the clan and all entertainment on the main day Saturday. On Friday and Saturday nights we had the Maclean Ball and dance, all went well. Our coach group and some other 1000 people enjoyed a few days being Clan Maclean. 2007 went much as 2002 but we had a lot of people return who we knew. In 2012 we had another Gathering, pretty much the same as 2007, the weather was slightly better. Lots of cultural events, meeting many locals, worldwide members and Scottish Maclean’s from the mainland and other isles. Same hotel room list problems, but by now Liz was a full business partner – much easier. The island was awash with tartan, clan badges, flags and merriment. 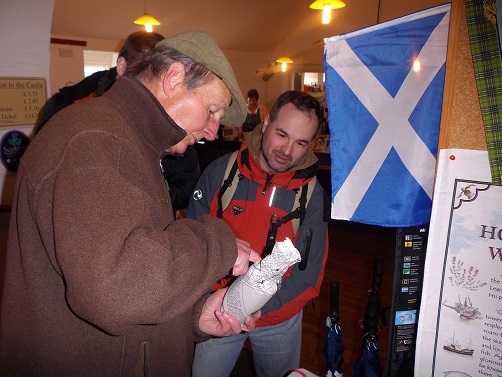 Our visitors certainly got into the whole spirit of the event and a nice mix of Scottish and world culture took place, many trying haggis for the first time, many on a once and only trip to Scotland. One couple (friends of ours) actually renewed their wedding vows at the castle. 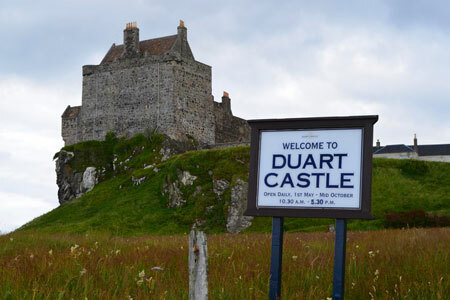 We arranged all of this in secret from the family with Robert McLean, after 40 years of marriage, they did it all again in front of family and friends inside Duart Castle. 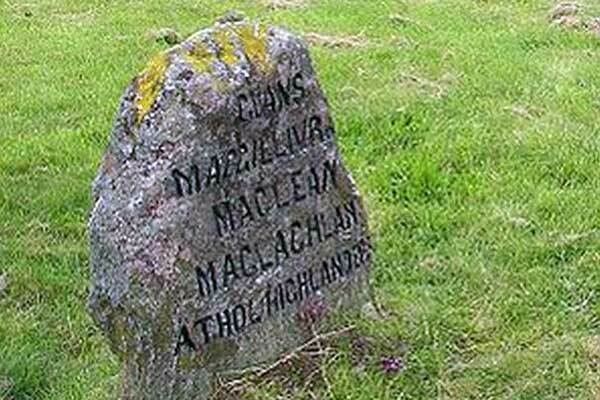 As a part of each gathering, our tours have also called in to Culloden Battlefield to walk the moor, see the museum and lay flowers at the Maclean stone. We also welcomed two guests from McLean’s Pub in Montreal as competition winners, did they enjoy it? For certain! Clan Maclean have a DNA project with over 400 members scattered across the world but with the shared aim of using DNA testing to tell us more about our ancestry – if you have (or your ancestor had) the surname MacLean, MacLaine, McLean or any of the other variants, it mainly benefits male ancestors because the Y-chromosome is passed from father to son just as a surname is normally passed in the same way. 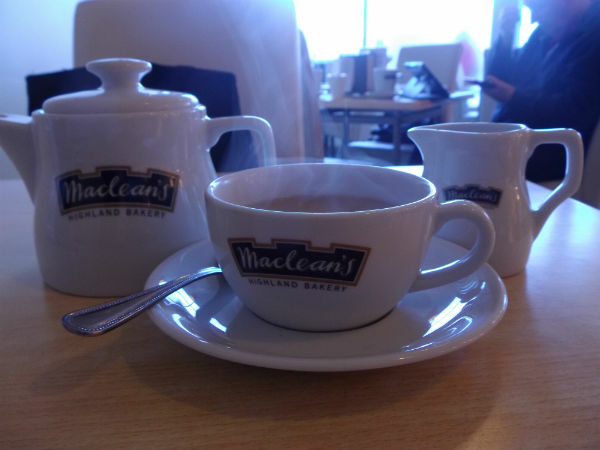 Most with our surname associate with the MacLean of Duart, MacLaine of Lochbuie or one of their many branches. Recorded history of these clans goes back to 13th century Scotland when Gille eoin (Gillean of the Battleaxe) founded Clan Gillean. Use of the surname MacLean did not begin until about 1350 and interestingly, members of the Lochbuie clan did not adopt the MacLaine spelling until the mid-1700s, and even then it was not adopted universally. Our clans are traditionally associated with the Isle of Mull but they didn’t have lands there until the 14th century and were also associated with territory in Morvern, Ardgour, Urquhart (Loch Ness) and islands in the Hebrides such as North Uist, Coll, Tiree, Jura and Islay. They were a warlike and seafaring clan, at the height of their powers between the 14th and 16th centuries. They then fell into decline due to vast debts and unwise alliances such that by the end of the 17th century many of their former lands had been acquired by other clans, particularly the Campbells to whom the MacLeans were in debt. Repercussions for the clans which supported the Jacobite cause in 1745 ensured that the MacLeans would not regain their former powers. But as a family – we are strong again and this is shown at our gathering. WHY NOT JOIN US?